As I've been traveling around, I often answer questions from friends and family about what I would most recommend when traveling to a particular place. While sitting down composing an email to send to some friends that will soon be traveling to Singapore, I felt that it would be worthwhile to share the advice with all of you! This is the first of these guides, and may be a little rough (please feel free to comment or provide feedback if anything was particularly helpful or not). To be clear, this is not a comprehensive guide, but a concise and practical one that has been built from the highlights of my own experiences in Singapore and the best advice that I received while traveling there. One that I hope will allow you to enjoy a spectacular time in Singapore, and have the flexibility to make your own itinerary in tandem, and to explore. Enjoy! How will you be accessing the Internet? While Singapore does have plenty of places that offer free wifi (be careful, as apparently connecting to an unsecured personal network can even be considered a crime!) it's important to consider your options for traveling on the go. One practical solution, especially if you are traveling with multiple devices that require connecting to the internet, is renting out a portable hotspot device like the ones seen at Traveler Wifi (if you're picking one up while you are already in the city) or from the Changi Recommends Booths at the airport. They are reliable, but require separate charging and add extra weight to your bag. And at 12 SGD per day, they can be significantly more expensive than getting a tourist SIM card for data access. For those with multiple devices, without traveling weight concerns, or without unlocked or region-free smartphones - these can be an ideal solution for consistent connection on the go while in Singapore. How will you be getting from the airport to your first destination? Many services will offer pre-booking of airport transport to and from Changi Airport at a premium. While it's a good idea to have your decision made ahead of time to reduce the amount of confusion at the airport, Singapore does have a fantastic public transport system that connects directly with the Airport. I will go into more detail in the transportation section below, but when planning ahead, it's a good idea to download both the Grab and MyTransport apps before you leave. Grab is great for ordering a taxi, and MyTransport can help you order a taxi or find the best route to your destination. 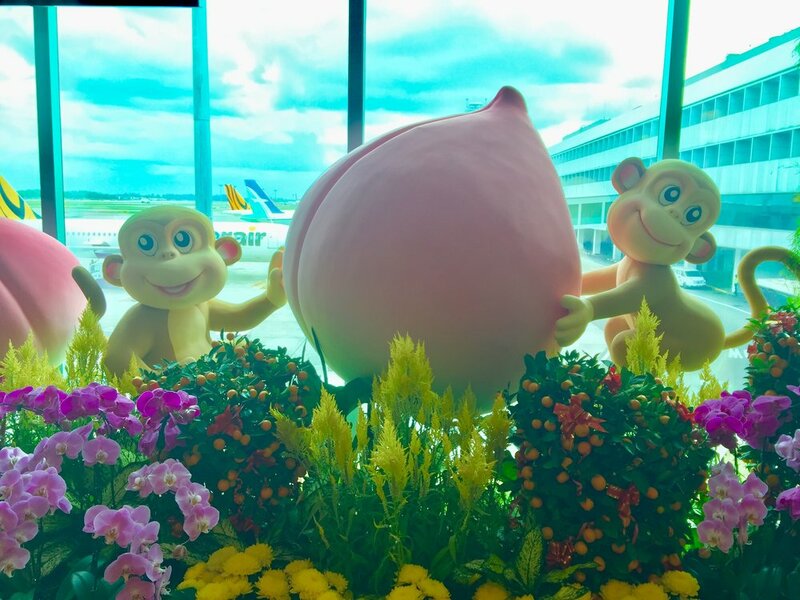 Celebrating the year of the monkey at Changi International Airport! When arriving, it's worthwhile considering picking up a SIM card (if you haven't pre-booked another item) and one of the Singapore Passes if you're looking at doing a bunch of attractions during your stay. I'm generally not a huge fan of the pre-paid passes found in many cities, but I'm mentioning it here because I found it to be a very good value for the price, and a good way to make the most of a short stay. Additionally, if you're considering using public transportation during your stay in Singapore (and you should), pick up a transit card from the Transit Link ticket office located at the MRT station within the airport and preload it with a small balance before you leave. That will make it much easier to be impulsive once you've arrived. Changi International Airport has a fantastic arrivals guide located on their website here. Singapore has an excellent public transit line connecting most of the main city and the airport. This will be the easiest way to travel between most of the main destinations, and the frequently running bus lines provide an excellent alternative for exploring Singapore outside of the main city. Picking up a stored value transit card at a Transit Link ticket office is my best recommendation for getting around the city. Unused balance can be refunded when leaving the city (note that there is a 5 SGD non-refundable deposit when purchasing the card). Note: MRT Station Map is up-to-date as of October 2016. Please click on the map to open a new window for the official interactive map of the services. The official website for Singapore's transit information contains detailed fare information and interactive route planning tools. They have a very useful Mobile App, available on both iOS and Android, that can help you choose the best route to your destination and even call a taxi! If you're looking to go from point to point, or to an area with less access by the MRT, using a taxi can be an excellent alternative. Many taxi stands in the city have a stand code listed on the sign, and can be an easy reference for requesting a taxi with the Grab application. You can also split fares and pay within the app! You can find more information and a download link here. 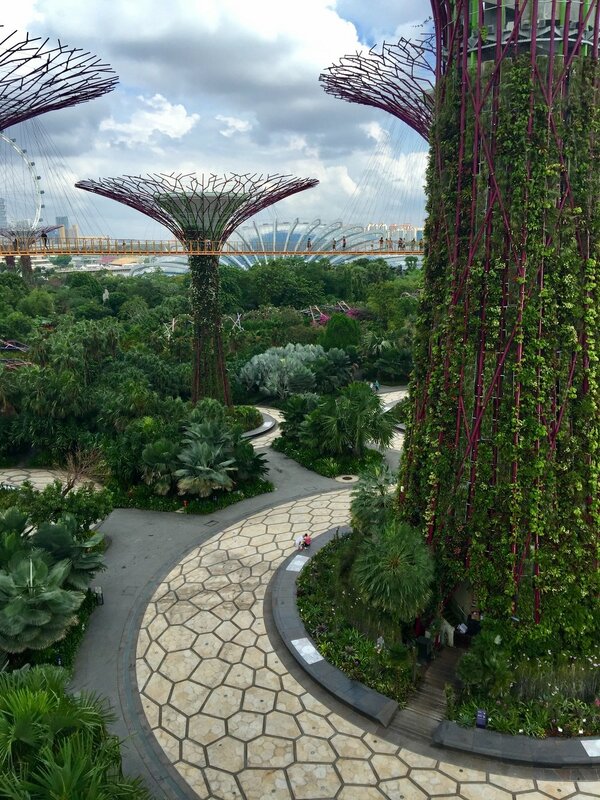 Nothing speaks to the core of the environmentally sound futuristic vision of Singapore's super-city like the enormous super trees. The bridges along the top can be walked across with a ticket from the nearby domes, and provide an excellent view of the city in the distance. Just visiting the grove to experience something unlike anywhere else in the world makes this worth putting at the top of your list. And the grove is unbelievable at night. 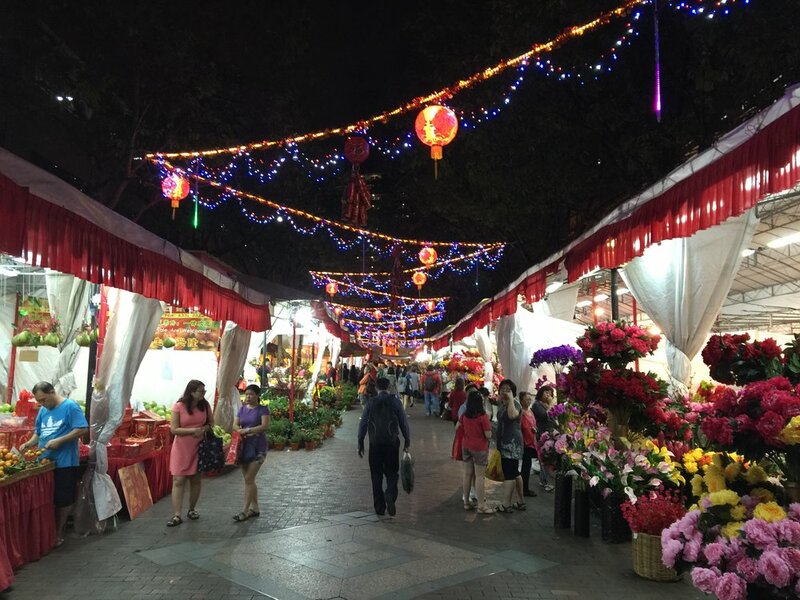 Singapore's chinatown is densely populated and an excellent way to explore a developing part of Singapore's identity. It can be a bit touristy, but definitely worth stopping in for one of Singapore's local delicacies, Chili Crab. 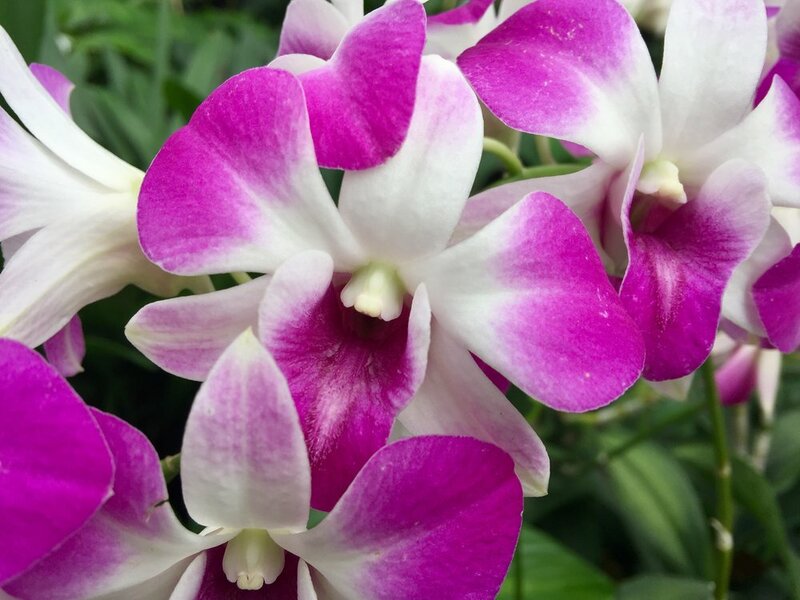 First and foremost, you should absolutely visit the Botanical gardens when visiting Singapore. A Unesco World Heritage recognized site, the gardens are free to visit (the only charge is for entry to the Orchid Gardens), and truly spectacular. I make special mention for the Orchid exhibit, because it is one of the most extraordinary collections that I have seen anywhere. There's also a pretty fantastic restaurant on the premises, the Halia, which has a unique spiced coffee and a delicious chili crab spaghetti (in case you missed tracking it down in Chinatown). If you've ever heard of a "Singapore Sling" - this bar is the reason why. Step in for a bit of history, and leave with a smile on your face. With a slightly tropical flair, great atmosphere, and a storied history dating back to Singapore's earliest days, the long bar is worth a visit even if you don't drink. The Singapore Zoo was a bit of a surprise. I sometimes feel a little uncomfortable with animals living in confined spaces, but the Zoo itself is really well taken care of, and the animals seem to have a lot of room. I am highlighting this, however, specifically because of the Night Safari. I've seen a few of these in different parts of the world, and this is the only one to really get it right. Focusing on nocturnal animals, and providing some really cool footpaths makes for a truly unique experience that is definitely worth a visit. My advice is to skip the trams at entry and go straight for the show to the right of the entrance. Also, people tend to line up early to buy tickets (around an hour before the posted opening time) - so it can be in your best interest to arrive a little early to buy tickets and spend your time waiting for the gates to open by watching one of the fire dancing shows. The Gardens by the Bay (and the attached Supertree Grove) were one of the most spectacular parts of my trip to Singapore. Admission to the Cloud Forest, Flower Dome, and the bridges between the Supertrees can be bought individually or as part of a package. Each part is easily worth spending a few hours admiring the meticulously kept environments from around the world, and that doesn't even include the myriad paths to be explored for free. Pro tip: Come back at night across the helix bridge to see some spectacular changes! The noodle dish pictured above is called Laska, and it is divine. If you're looking to eating local specialties in Singapore, it's certainly where I would start, and the Kampong Glam district is a great place to start looking for great food in the city. It's a bit out of the way of the main attractions, but has a lot of authentic local flavor (pun intended), a gorgeous mosque, and a ton of international options as well. It was described to me as a local hangout by several people I met while exploring the city, and did not disappoint when going out to explore during the weekend. Unassuming and quirky, the garden slug was my go to local cafe when I was visiting Singapore. 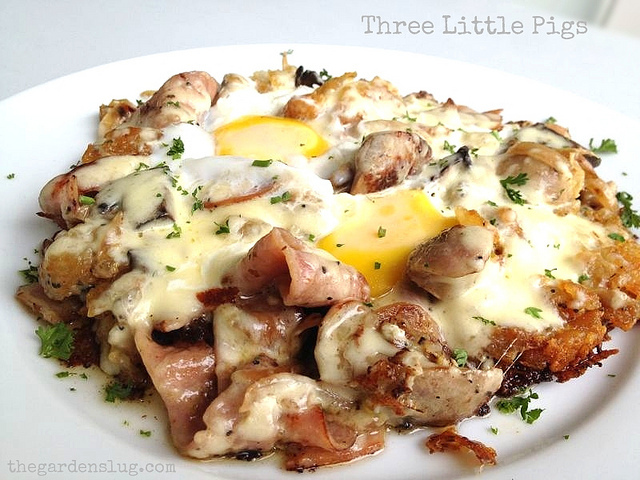 It's pet friendly, has some unique and unexpectedly delicious food, and the dish pictured above (three little pigs) is about the best way that I can think of as a way to get delicious, delicious breakfast into my stomach. 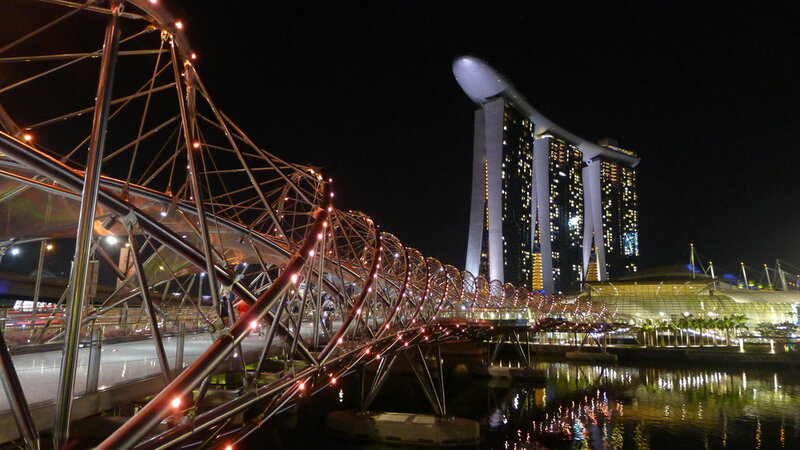 Located between the Marina Mandarin and the Marina Bay Sands is one of the coolest bridges that I have ever seen. Entrances can be found near the Youth Olympic Park and (conveniently) the ArtScience museum, this bridge is modeled after the double-helix structure of a DNA molecule and really encapsulates the modern design that Singapore epitomizes. 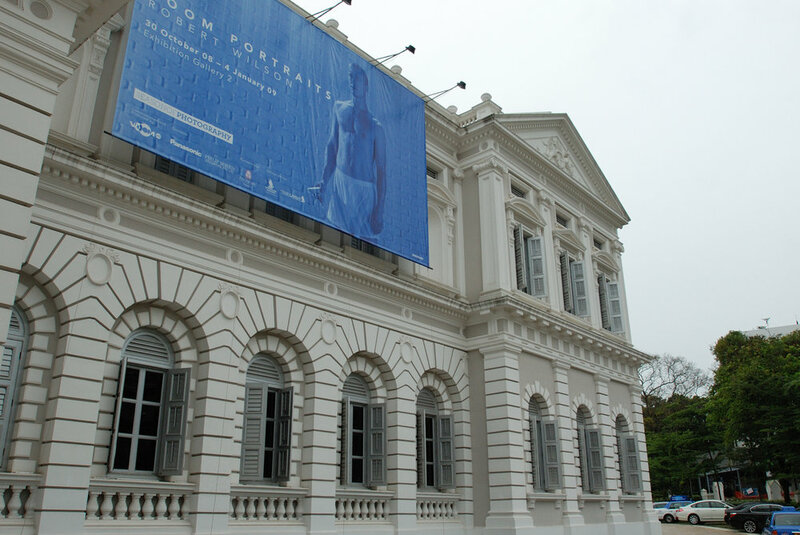 Of the museums that I had a chance to visit in Singapore, this was by far my favorite. Mostly because there is a fantastic walkthrough exhibit of Singapore's history that did an excellent job of bringing context to Singapore's tumultuous history, and provided a clear idea of how extraordinary it's very existence as it is seen today really is. 1-Altitude is a bit on the pricey side, but provides what is easily the best view in the city. It's so high up that the Singapore Flyer (seen to the left) seems tiny in comparison! If you like bars, and feel like being part of the "high" life, this shouldn't be missed. I'm a self-professed theme park junkie, so if there was a major theme park somewhere and it wasn't on my list, something would be wrong. Universal Studios Singapore hits all the right marks: solid rides and attractions (the special effects one was particularly impressive). It's also fun to see how some of the attractions featured at other Universal parks make the transition here. Oh, and the Battlestar Galactica ride is SO AWESOME!!!!!! Centrally located near the Floats and transportation around the city, with an excellent breakfast buffet, this reasonably priced luxury accommodation is an excellent choice for those looking for a great place to stay in Singapore. They put on a wonderful Chinese New Year's celebration too! Two words: Infinity Pool. There's a pretty fantastic sky garden at the roof level too, but we all know why it's really worth going. I spent most of my trip out here; beaches and barbecues (that you can rent) and miles of running and bicycling paths make East Coast park a spectacular, and less visited by tourist destination. As the park is slightly out of the way of the main city, it can be difficult to reach. A short walk from the Stadium MRT station, a direct bus ride, or if you're feeling adventurous, a long walk along the waterside from the Gardens by the Bay will not disappoint. 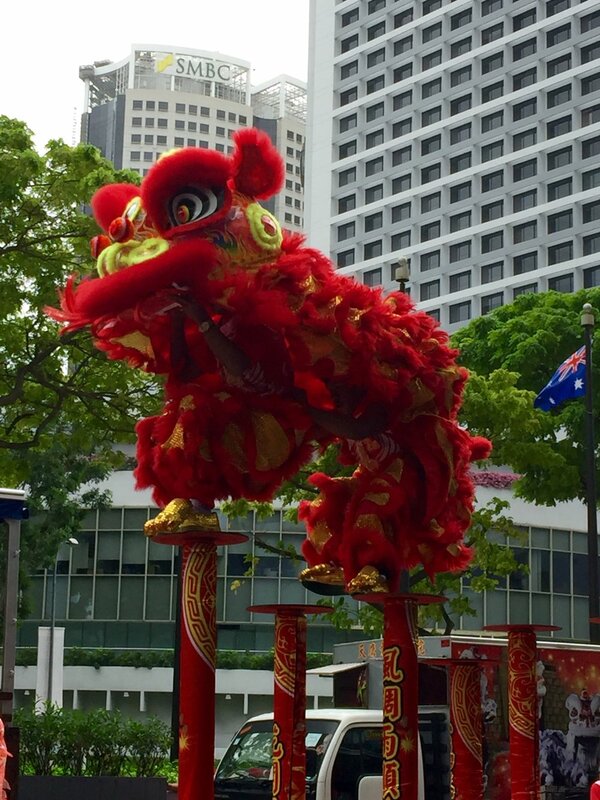 In case you're looking for more places to fill your time with, or would like some additional information, here are some of the resources that I used while researching and planning my own trip to Singapore! Added Jen Miller's (of Jen Reviews) "100 Best Things to do in Singapore" guide to the list of further reading and information. A comprehensive read with a great ranking and times to complete for each activity that I'll definitely be referring to on my next trip! Older PostPikachu.... I choose you! !